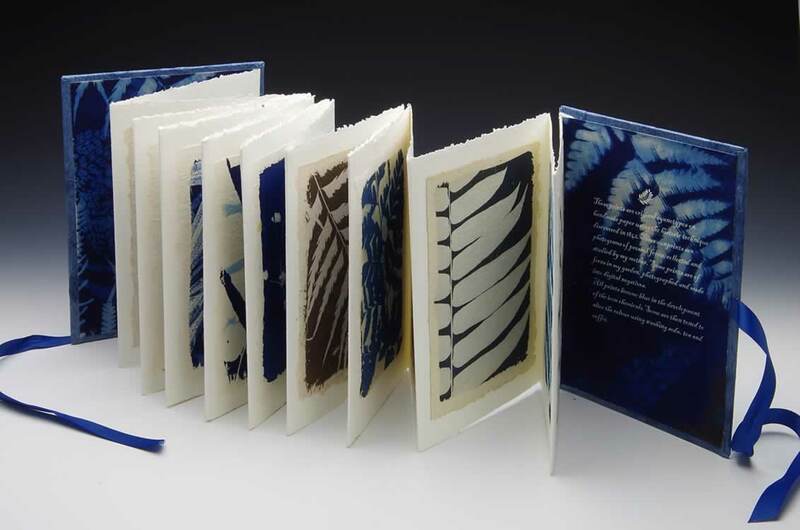 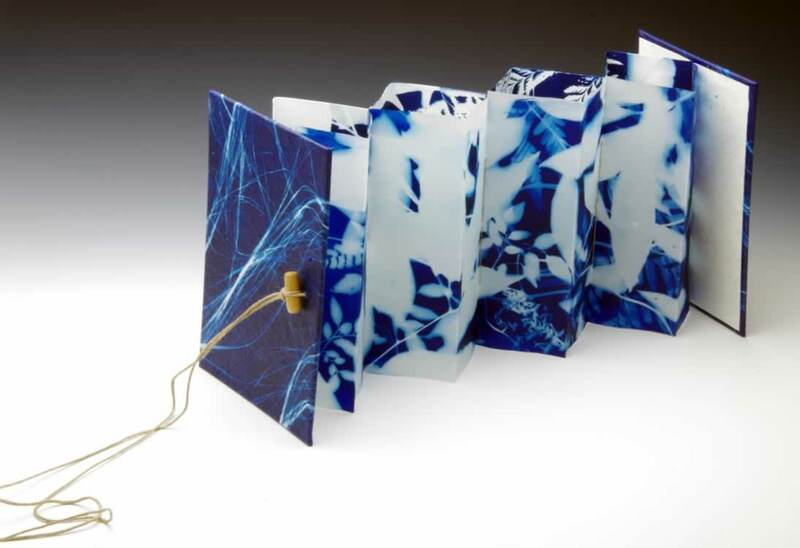 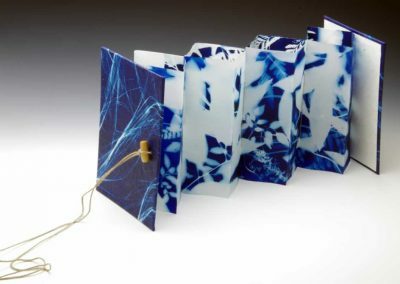 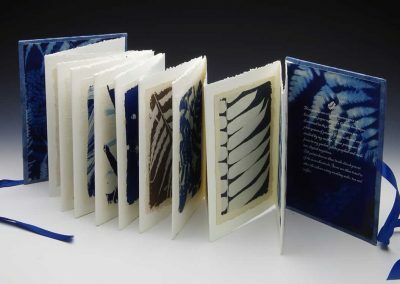 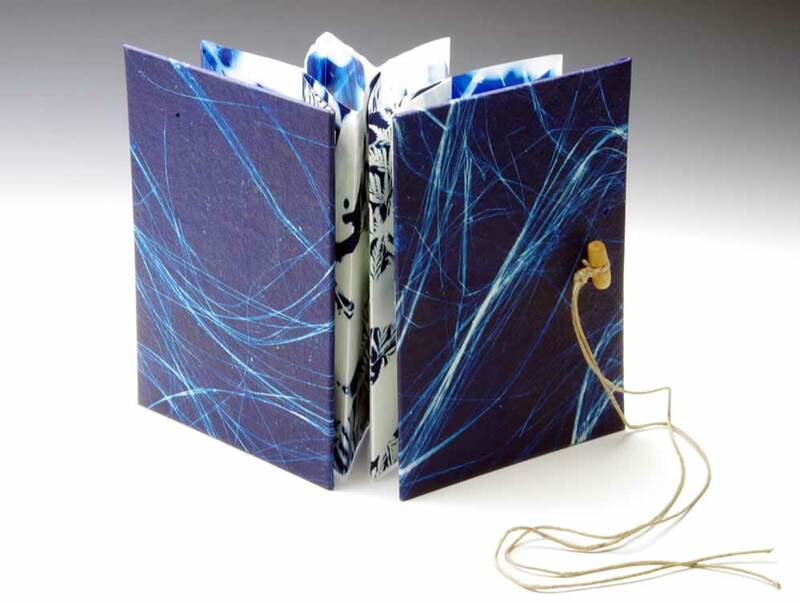 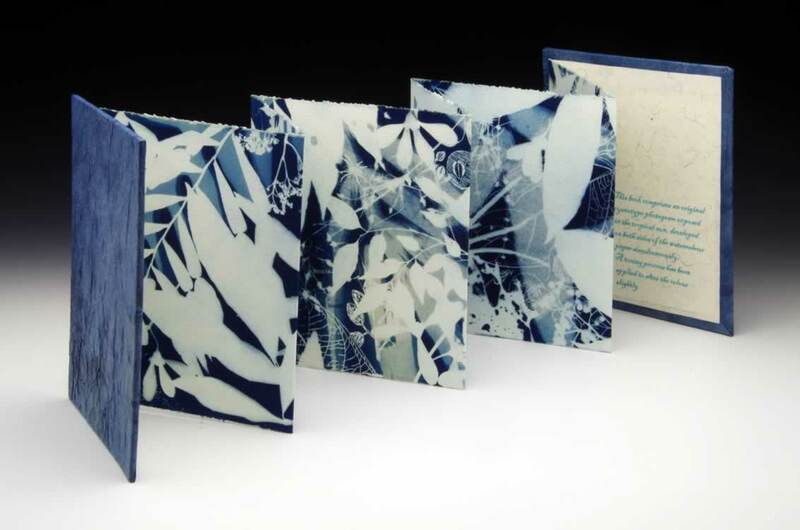 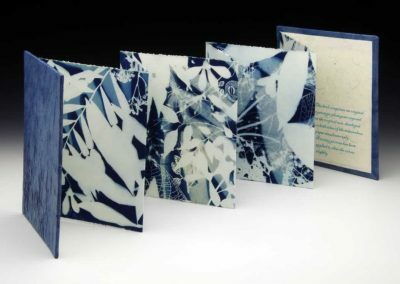 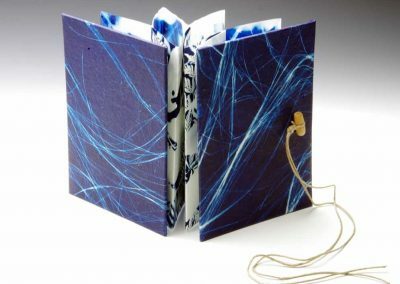 Making artist books was a natural extension of making cyanotypes on paper. 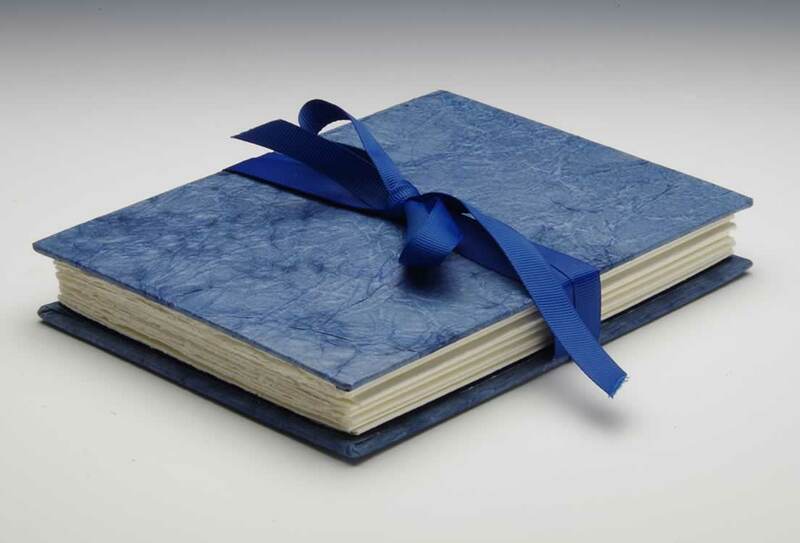 I enjoyed making covers and end papers as well as the pages. 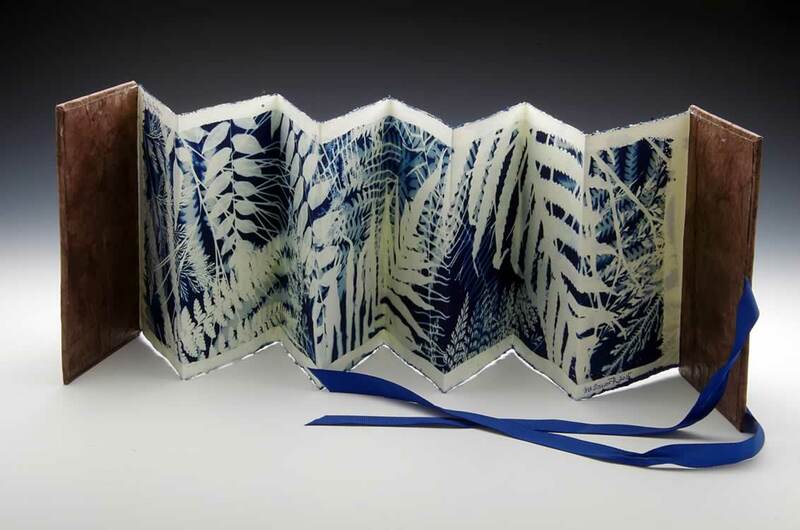 My mother was an avid researcher and collector of many plants including ferns and when I recently came across her pressed fern collection, I decided to honour her collection with a book of handmade prints. 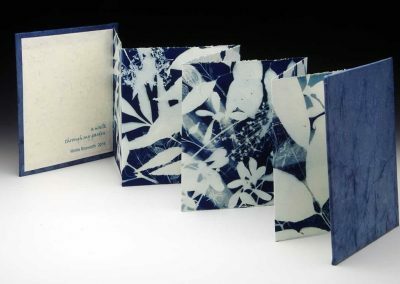 The cyanotype process has been used since its discovery as a documentary tool for small flora so it has an innate connection with my chosen subject. 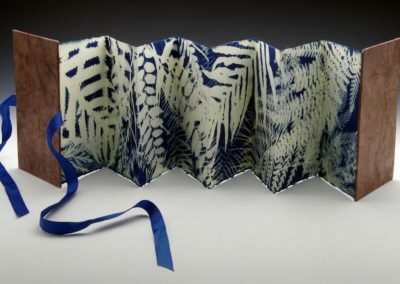 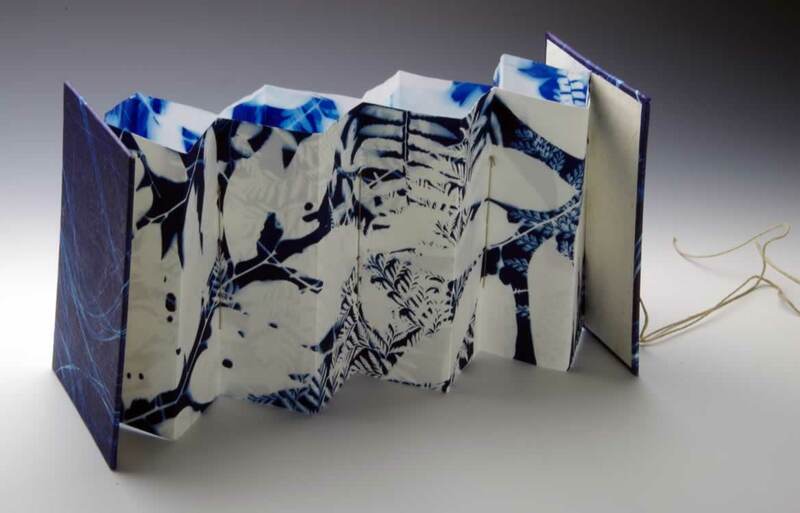 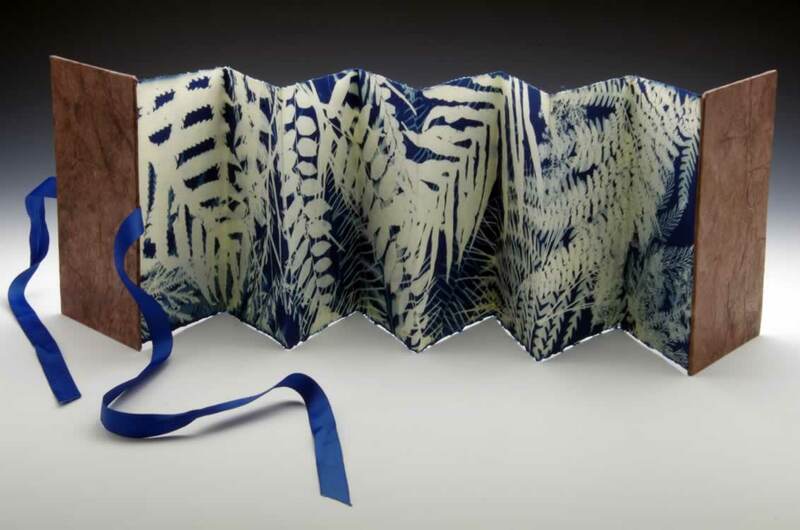 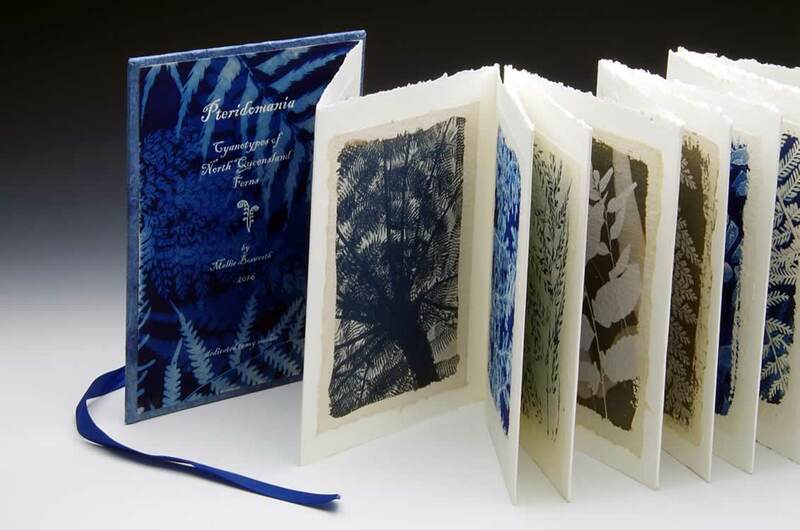 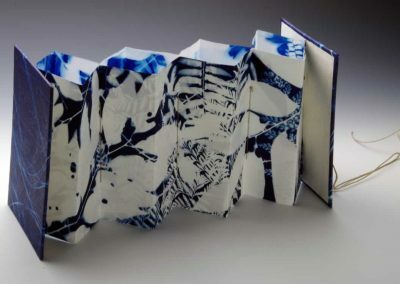 Each print in my concertina book “Pteridomania” has been individually processed on handmade paper. 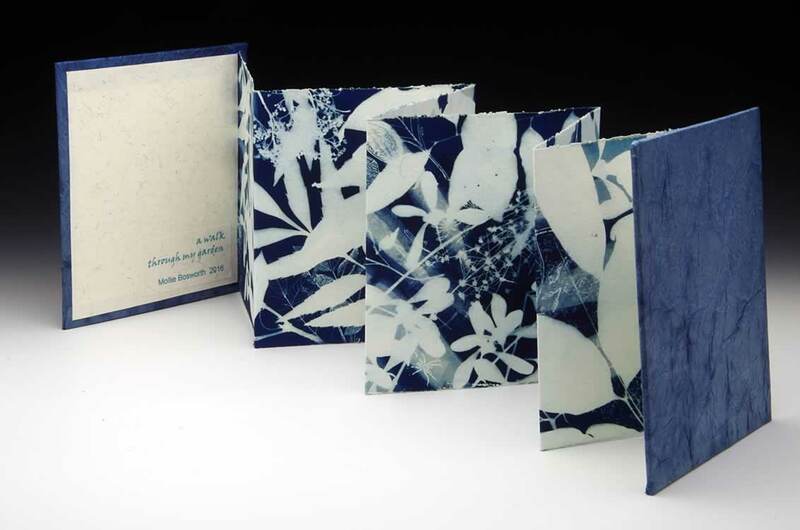 Some prints are from digital negatives, others are photograms from actual leaves. 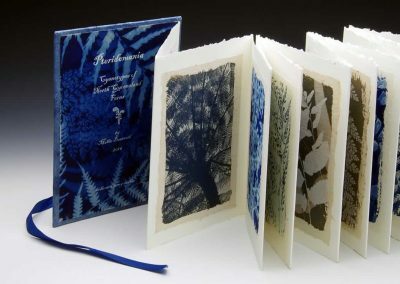 Blue is the natural colour of this process but I have included toned prints as well. 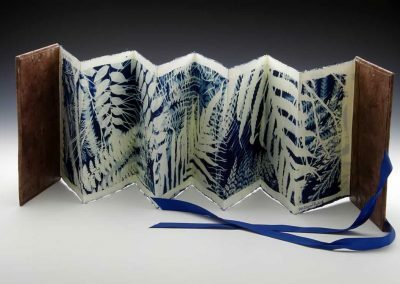 The title and text style refer back to the Victorian era when fern patterns were popularly used on everything.